Welcome to this week's Nintendo Download roundup, your weekly update on every new game, piece of DLC, discount and theme coming to the eShops in your region. As always, drop a vote in our poll if it takes your fancy, and leave us a comment below with your thoughts on the latest additions to Switch, 3DS and Wii U. Enjoy! 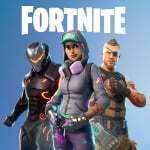 Fortnite (Epic Games) - Free - Jump in to be the last one standing in the free* 100-player Battle Royale. Build huge forts. Outwit your opponents. Earn your victory. Squad up together online** with friends in the same room*** or around the world! Hollow Knight (Team Cherry) - €14.99 / £10.99 - Descend into darkness and brave the depths of a forgotten kingdom in Hollow Knight, an atmospheric and challenging 2D action-adventure for Nintendo eShop on Nintendo Switch. Explore the vast interconnected world of Hallownest, unravel ancient mysteries and conquer a menacing evil. Hollow Knight on Nintendo Switch includes all content packs released up to launch in June 2018: Hidden Dreams, The Grimm Troupe and Lifeblood. 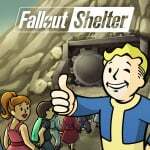 Fallout Shelter (Bethesda Softworks) - Free - Fallout Shelter puts you in control of a state-of-the-art underground Vault from Vault-Tec. Build the perfect Vault, keep your Dwellers happy, and protect them from the dangers of the Wasteland. 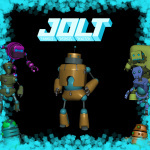 Jolt Family Robot Racer (Cooply Solutions) - €4.99 / £4.99 - JOLT is a fast paced, racing party game. The game at its core is a competitive platformer that’s all about maintaining momentum with skillful navigation. The players compete to be the last robot standing. Using a charged burst of speed called the JOLT, and an array of different objects in the environment; your goal is to outperform or outright sabotage the other racers. Eliminated players are down but not out through the use of the VOID, a random Sabotage Power-Up that allows players to initiate revenge and change the outcome of the race! 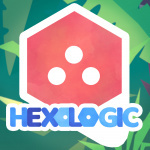 Hexologic (MythicOwl) - €2.99 / £2.49 - Hexologic is very easy to learn and in the same time a highly addictive language-independent logic puzzle game. Based on hexagonal grids, the game reinvents sudoku rules and brings it to a whole new level. Combining the dots inside the hexes in three possible directions, so that their sum matches the one given at the edge, will be a rewarding experience for both puzzle games’ veterans and newcomers. A simple gameplay mechanics adorned with a beautiful graphic design, relaxing music and challenging yet not unbeatable puzzles, will guarantee long hours of fun for gamers of all ages. 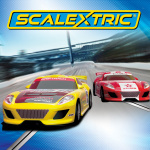 Scalextric (Sabec Limited) - €9.99 / £9.99 - Speed through stunning 3D tracks you created and re-discover the magic of SCALEXTRIC! Build fast, fun and challenging tracks with the track builder. Mix it up with your own track designs. Choose pieces of track and assemble new and exciting circuits or pick one from the twelve included pre-built World race tracks. Paladins - Founder's Pack(Hi-Rez Studios) - €29.99 / £24.99 - Join 25+ million players in Paladins, the free-to-play* fantasy team-based** shooter sensation. Wield guns and magic as a legendary Champion of the Realm, customizing your core set of abilities to play exactly how you want to play. Access to Paladins is currently available by purchasing the Founder's Pack on Nintendo eShop. A free-to-play* version of Paladins will be released later this year. ACA NEOGEO SUPER SIDEKICKS 3: THE NEXT GLORY (HAMSTER) - €6.99 / £6.29 - “SUPER SIDEKICKS 3: THE NEXT GLORY” is a soccer game released in 1995 by SNK. Compete with 64 teams from around the world and six different kinds of tournaments where players can aim for the championship. Digitally traced animation makes for beautiful action along with a variety of impactful renderings and 3D shots which allow for intense gameplay. 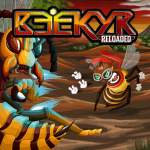 Beekyr Reloaded (Akaoni Studio) - €9.99 / £7.99 - Beekyr Reloaded is an exciting shoot’em up that brings back the joy of classics in the genre. Play as Beekyr, a brave bee that must avenge his hive from the nasty wasp queens that destroyed it, along five different worlds filled with dangerous insects and many hazards that will put your skills to the limit. 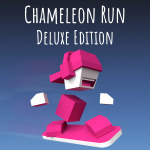 Chameleon Run Deluxe Edition (Cinemax) - €5.99 / £4.99 - Chameleon Run is a unique, fast and challenging autorunner with a colourful twist. Jump, switch and run through expertly crafted levels that will have you running back for more. Your goal is to switch your colour to match the ground as you run and jump from platform to platform. Sounds easy right? Well think again! 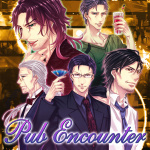 Pub Encounter (D3 Publisher) - €16.99 / £15.99 - It's a romance game where you can fall in love with one of several middle-aged men. All of them are experienced in life and have their own stories to tell. They may not be young, but they can love as deeply and passionately as anyone. Soccer Slammers (Atooi) - €9.99 / £8.99 - Soccer Slammers is 2-on-2 arcade soccer with no rules. Just fast-paced fun for 1 to 4 players on a single Nintendo Switch. Crush your opponent by mastering power shots, slam tackles, bank shots, super sprints, and team combo-shots! Warm up with a two minute Quick Game or go for glory in the World Cup against the top 32 teams in the world. THE Number Puzzle (D3 Publisher) - €4.99 / £4.49 - The definitive intellect puzzle, simple yet full of depth. In THE Number Puzzle you follow easy rules to fill in a grid with the numbers 1-9. WHIP! WHIP! (Alpha-Unit) - €7.99 / £7.19 - Tira the dessert hunter explores ruins to uncover the recipe required to revive a dessert from ages past. Ancient machines known as golems are also buried within these ruins. One day, Tira discovers a golem shaped like a mitten and finds out the legendary dessert she's been searching for is real. Head out in search of the legendary recipe! Arcade Archives DONKEY KONG (HAMSTER) - €6.99 / £6.29 - DONKEY KONG is an action game released in 1981 by Nintendo. Avoid a variety of obstacles while heading through a construction site to make it to the top and rescue Lady. Use the hammer to destroy the barrels and fire coming towards you to earn more points. This version contains both the early and later versions as well as the international version. Overcooked! 2 (Team17) (€24.99 / £19.99, pre-order from 12/06/2018) - Pre-Order until 06/08/2018, 23:59 CEST - Out of the frying pan, into the fire… You’ve saved the world from the Ever Peckish. Now a new threat has arisen and it’s time to get back in the kitchen to stave off the hunger of The Unbread! Octopath Traveler (Nintendo) (€59.99 / £49.99, pre-order from 14/06/2018) - Pre-Order until 12/07/2018, 23:59 local time - Begin your journey as one of eight protagonists, each with their own origin, talents, and goals. Where will your journey begin? Who will you team up with? And where will you go next? All these decisions and more are completely up to you, the player. Pode (Henchman&Goon) (€24.99 / £22.49, pre-order from 14/06/2018) - Pre-Order until 21/06/2018, 06:59 local time Game description: Pode is a co-op puzzle exploration game about a rock and a fallen star working together to solve ancient puzzles in a stunning environment inspired by Norwegian art and culture. Bomb Chicken (Nitrome) (€13.49 / £11.99, pre-order from 15/06/2018) - Pre-Order until 12/07/2018, 14:59 CEST Game description: Who doesn’t love chicken… especially when it’s smothered in delicious blue hot sauce? After a freak accident, a seemingly ordinary chicken becomes a bomb laying free range hero. Explore the versatile mechanic of laying bombs in this explosive exploration platformer. So that's your lot for this week. Thanks for reading - leave a vote in the poll above if any games take your fancy, and a comment below with your hot picks! This big E3 sale is a big disappointment. Wait, did they just drop Arcade Donkey Kong on us without warning?!? All of those switch games were on there two days ago, none of this is new for today. Does Donkey Kong have all four levels? Rocket League event crates at rip off prices as per usual. I've already installed Fortnite and Fallout Shelter, then got bored of FS and uninstalled it again. Man, I am not good at Fortnite. Been a long time since I tried to play a competitive shooter with thumbsticks. I think I'll stick with it for a while, though - at least until the Rabbids DLC gets here. @dystome give it time. The best tip I can give is stock up and hide. Will pick up Donkey Kong Arcade. Already bought Hollow Knight and Super Sidekicks 3 and will be buying Donkey Kong Arcade tomorrow, nothing is surer than that. I have Fortnite too which I've been enjoying a lot more than I thought I would. Which Mario tennis game would people recommend from the 3ds version, GBC version or GBA version? Think I'll go with Ultra Street Fighter II as it's now around the price it should have been when first released. Not to mention the Anniversary Collection's online issues still haven't been addressed. 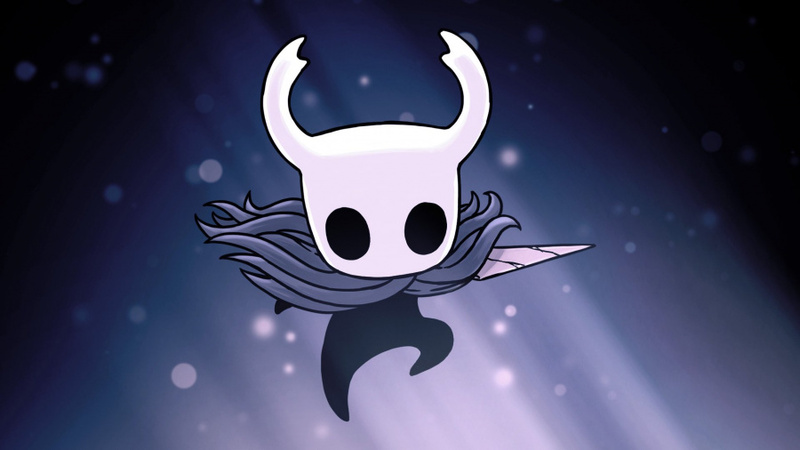 Got to say, Hollow Knight is amazing! Holey-moley that's a bucket load of stuff. I highly recommend Hollow Knight to anyone who's looking for a metroidvania, and isn't afraid of a challenge. The game is excellent and its lore and atmosphere are magical, with somber and beautiful music and landscapes. 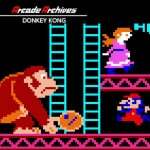 @LinktotheFuture This release of Donkey Kong is the original arcade version! Some actual Nintendo games on sale? I didn't know hell was freezing over this week! 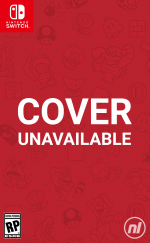 I haven't checked the US eShop yet, but it looks like everyone got Arcade Archives: Donkey Kong! Wow some awesome discounts. Doing a check and The Coma, oh wait Golf Story, oh but wait SF Ultra. Ummm what to have. Wait there's decent discounts on Wii U !?! I've no money but finding some to graze up those Wii U stuff I haven't got yet. Done: Battle Chasers > EarthLock > Hollow Knight in a row... And Flipping Death is right around the corner. Now these are my type of Indies. There is no discount on Layers. Wow, Donkey Kong Arcade? When was this announced? Other than that, I’ll pick up Little Inferno for my Wii U. Have had that one on my «to buy» list for two years, now. 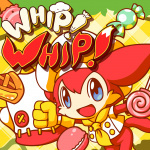 I'm thinking about trying Whip Whip. Cute little game. Will get footy manager. Up the Owls! Just me choosing Pub Envounter then? I can't find Donkey Kong on the eShop. @Angelic_Lapras_King thanks, I need to have a proper look through their sale to see which games I want to pick up. I am playing a lot of 3ds at the moment but Wii u is my favourite console of all time. @neyoung8 Yeah, I mean the GBC version has probably aged a bit, GBA version had one heck of an awesome story mode and was and still is super fun to play, and the 3DS version while fun just is lacking in features like a story mode. Looks like a sequel to Bubble Bobble/Parasol Stars, with just some changes to avoid lawsuits (like EXPAND instead of EXTEND). They even boast music by an ex Zuntata guy!!! Golf Story definitely, perhaps Hollow Knight - I'm struggling with Super Chariot still; that last bit is hard. And I need more information on Pode. Can't always find anyone to play co-op so need to know how difficult it would be without a second player. Had my eye on Mulaka from last week too. Downloaded Fortnite and will give it a fair chance later. Fe is 50% off in USA, Lego City as well. The two sales I'm interested in didn't come to Europe. Well, more time to spend with my dwellers in the shelter, for free. It's definitely not the Fallout I was hoping for, but it IS a Fallout I had no idea I wanted in the first place. Would it kill Nintendo to put the Smash/Fire Emblem/Zelda DLC on sale?! I've never played a Fire Emblem game. Which one should I go for - Fire Emblem (GBA), FE: The Sacred Stones (GBA) or FE: Shadow Dragon (DS)? 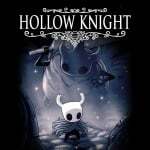 Now that Hollow Knight has been released, anyone heard any rumors of physical version? Hollow Knight is an amazing game. Maybe even (one of) the best there is on Switch. I’m also loving the Splatoon 2 Octo Expansion. Both HK and the Octo DLC are really difficult to master. The Switch is becoming a real gamers console. @Eef It has some rough edges - pacing is also a bit off. I would say it is a 7. I enjoyed it. Do you have access to any half decent PC? Steam has a DEMO. You can try it before you buy it on Switch. Pub Encounter is actually really sweet x) I enjoyed it when I played it a couple of years ago. Fun with a visual novel dating sim where the characters are older..
@darthstuey It's already out in the US but won't appear on the UK Eshop till later today. Well that 4 pre-orders plus Hollow Knight for me. This is an expensive month. Paladins : free-to-play ? 29.99€ ! That's not what I'd call "free-to-play" ! I assume you've played it already though, based on your profile picture? @neyoung8 Both the GBC and GBA versions of Mario Tennis are great. Both have an RPG style mode where you can explore a little and also choose which abilities you upgrade. The GBA version has more areas to explore. Known as "Mario Power Tennis", the GBA version has "power shots" which are similar to the ones you'll have seen in Mario Tennis Aces. There's also lots of mini-games where you train your abilities to level up and learn new power shots. If you like a more regular tennis game then I'd say get the GBC Mario Tennis but if you like the idea of "power shots" and more content then the GBA version is better with enhanced graphics and sound too. I like the GBA version best, it's more exciting, but they're both great games. Am tempted by Mario Party 2 even though I'll never play it in multiplayer. Also the N64 version of Mario Tennis is cool too - but I do have the original so not sure if it's worth it or not. Still got a big backlog (STILL playing botw after 6 months and caved and got fifa a couple of weeks ago which isn't helping) so not going in too much. Finally got Golf story tho in the sale. Might play it after botw and before doom which will be the next 'big' game i play.